[One day trip bathing] A possible and a family bath are improper. 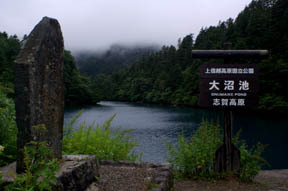 There is no hot spring which the sound of wooden clogs suits this much with Calah Collot in a stone pavement very much.It will remain in foundation 280, the distinguished services of the Onuma pond irrigation are accepted, and it is the Matsudai han. 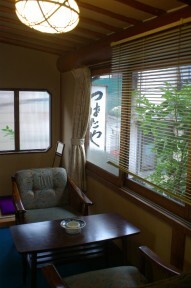 The history of the Sanada-family official rest house spent calm time on the guest room veranda of the enough inn, asking the sound of wooden clogs to a hot-spring uphill.Even if 3 stories of attractive point enough wooden of a lattice door and inside of a hall are kept clean and the side seen with the photograph of a shibu looks at a pillar, a floor, stairs, a hallway, and a ceiling board, the pure Log has released brightness.The full-scale family bath of a yuya structure to a courtyard passes the building of the Taisho last stage, and the time, and has the taste which now can say also as a season.A family bath like this cannot start a splendid eye.The bathtub of the structed by Japanese cypress which becomes Heisei and was newly reconstructed has emitted the smell only with the deep number of the annual rings.Leaving social status as the husband shows the motto below, it is clean and has become an inn of a low charge and warm homely hospitality. 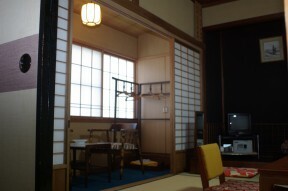 I am using as a motto the homely Ryokan quiet now and clean at which the person in many histories besides Soseki Natsume and the Wakayama Bokusui stayed. 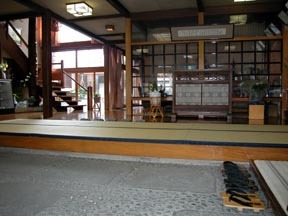 Agarikamachi of a zelkova, and stairs of a pillar and high-class pine wood. 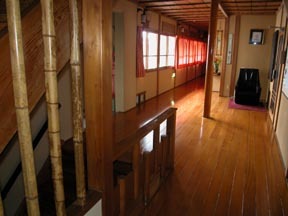 Appearance of the floorboard which shines, and the second floor of the attractive point enough. Most private fortune was given up from now for irrigation of a Kutsuno village as about 170-year above sentence-ized Fumimasa, the embankment was built in the Onuma pond, and those who is called the Chuemon which performs the hotel business etc. 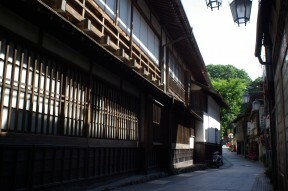 which performed construction of the water channel which also attains to 20 Kms over about 20 years were.Distinguished services are observed in the Matsudai han Sanada family, and it is a designated about an official rest house.This is a shibu Tsubataya.The Chuemon suffered the tragedy which loses four persons' families including a beloved daughter by this difficulty construction.This became a legend of Ryujin of the Onuma pond.The monument in which the legend was described still remains in the Onuma pond. The Onuma path through a wood is entered on the way toward the direction of the Takamagahara skiing ground from Shiga Heights Hasuike, and it is about 3 km. 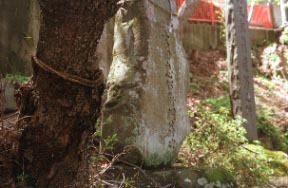 It is a stone monument of a remain "Yoshida Chuemon" to a shibu. Local vegetables (mainly the neighborhood, private vegetables), round world miso (white miso), Ogata-mura Akita komachi, the Fukuda store raw horse meat, the beef for steaks of the Fukuda store, a local fish farm. a mountain -- it is -- a rouge mass row slices, the Large rainbow trout by which butter may be sufficient as and roast was carried out, the fly eggplant to which time was applied, pumpkin simmered dishes, and raw horse meat are fresh -- soft mass -- Benincasa hispida soup with the tempura of summer vegetables, such as sufficiency, a Japanese ginger, a green perilla, a vinegared, nozawana, and smooth white miso, and a burn degree -- good -- the boiled rice of a uniformly. Appetite stimulate butter, and Goma Darre, delicious meat. 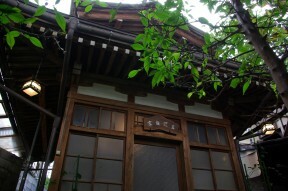 Alcoholic drinks are the Obuse pine needle store brewing and Motoyoshi Nogawa. The lot of people are a large room. They are immersed, candied food, etc. 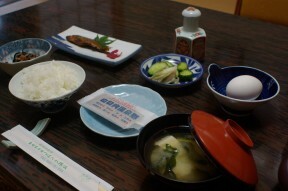 in boiled rice, miso soup and a boiled egg with soft white and hard yellow, and mustard. 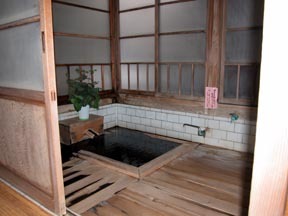 A bath can be 24-hour taken for the hot spring of 70 ° of fountainhead at free-flowing hot-spring water. 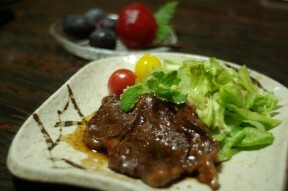 Adult of 500 yen It is an important point inquiry except a cleaning Middle. Only a Large bathroom is improper for an one day trip bathing good and a family bath. 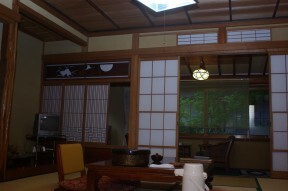 They are an enough yuya structure and a structed-by-Japanese-cypress family bath to a courtyard. 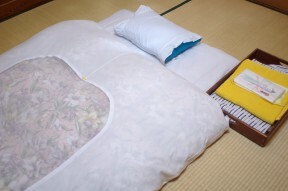 The third floor guest room "floating cloud"
* Although the Onuma guest room has a preparation of a toilet, it is a common room of 8-mat one room.It is old in a meiji term building, and is on the third floor southeast corner, and becomes a cold room in winter.If there may not be any preparation of a toilet in the room, we will recommend you the room of a Suite.